Just like most kids, my daughters truly love Oreo...and I tell yah, dunking it in milk is one of their simple pleasures! 3-5 pieces of Oreo with a glass of milk is enough to put a smile on their faces. 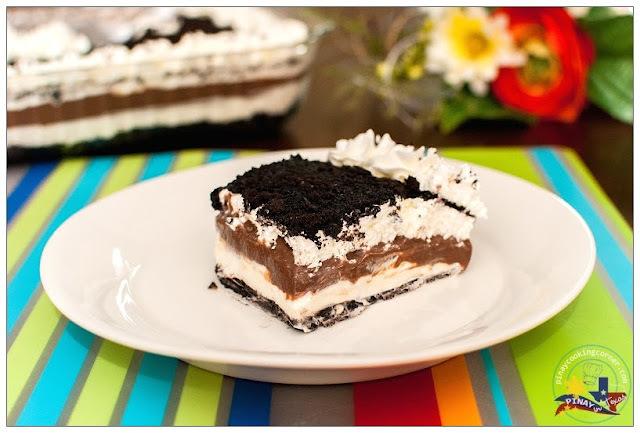 But whenever time permits, bringing Oreos into another level by making them into cupcakes, ice cream, polvoron and Oreo Cream Pie is another thing the girls love. 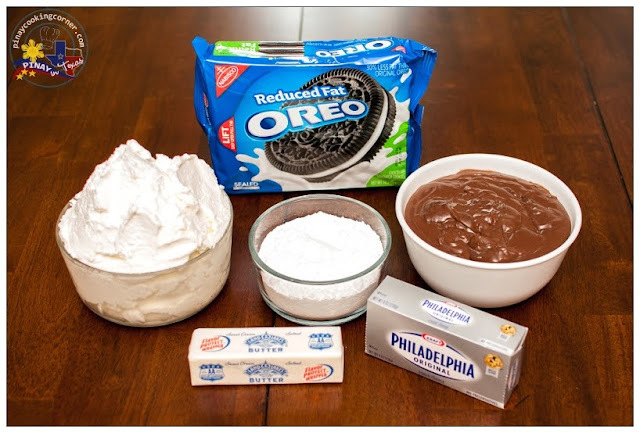 Today, I'm sharing with you how we make Oreo Cream Pie here at home. It's a very easy treat to make especially if you will use instant pudding and store bought whipped cream. But if you want a more delicious version, try using homemade chocolate pudding and whipped cream like what we usually do! 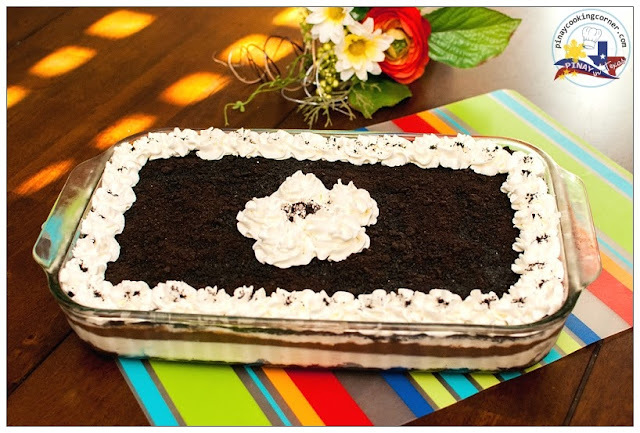 This is one yummy dessert that's definitely so hard to resist! Using a mixer, whisk heavy whipping cream until soft peaks start to form. Gradually add sugar and continue whisking until stiff peaks form. 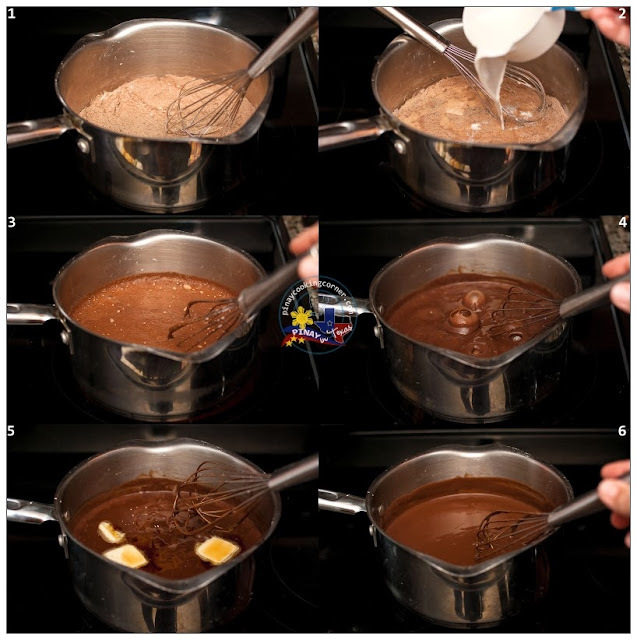 In a heavy saucepan, combine sugar, cocoa, cornstarch and salt. Gradually add milk. Bring to a boil over medium heat. Cook with constant stirring for 2 minutes. Remove from the heat. Stir in butter and vanilla. Chill until ready to use. 1. Using a food processor, crumb the entire bag of Oreo cookies. 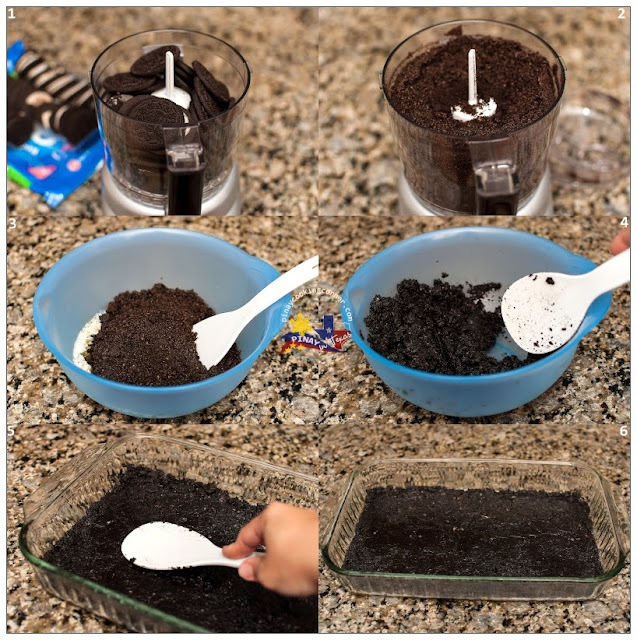 Reserve about 1 cup of Oreo crumbs for topping and mix remaining crumbs with melted butter. 2. 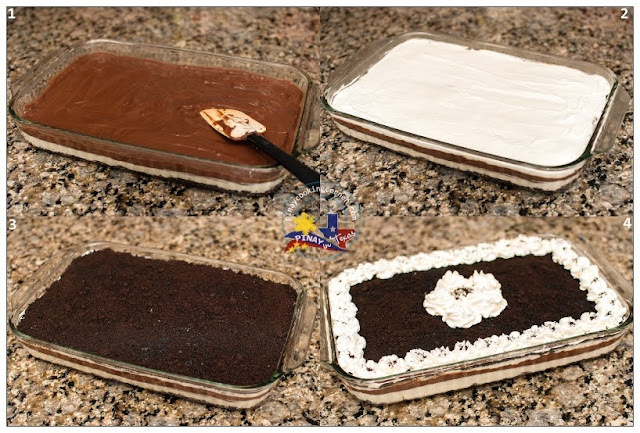 Using your fingers or a spatula, press Oreo crumbs and butter mixture into bottom of 9X13 pan to form a crust. Refrigerate until ready to use. 3. 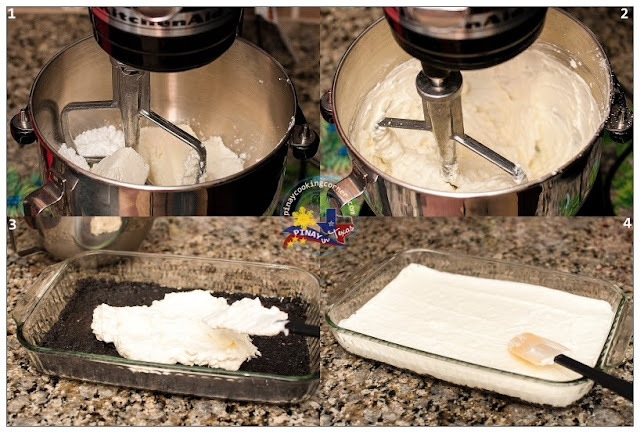 Using an electric mixer or stand alone mixer, mix 1 container of Cool Whip (or 2 cups homemade whipped cream), softened cream cheese, and confectioners sugar in a large bowl. Spread mixture on top of the crust. 4. If using instant pudding, mix the pudding and milk according to package instructions. Allow to set. Spread the pudding over the previous layer. 5. Spread the remaining Cool Whip (or homemade whipping cream) on top. Top with reserved Oreo crumbs. Chill and enjoy! 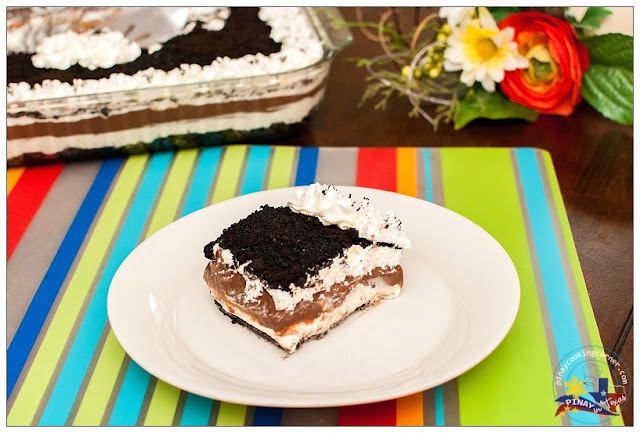 Delicious Oreo Cream Pie, I love it Tina, You make perfect dessert.